I uploaded another one of my videos to youtube so that I could show it in class tomorrow. I’m taking over half the lecture from Ruth, to tell the students a bit about archaeology and new media, since that’s the way that most of them will experience archaeology, outside of television. It’s not my best editing job (it’s from Fall ’06), but it will have to do for now. Remind me to take a better microphone to Turkey next year. Presentations should be 15 minutes long and will be followed by remixes of the content by the discussants. Contact: Colleen Morgan (clmorgan@berkeley.edu), Dr. Christine Finn (C.A.Finn@bradford.ac.uk), or Dr. Ruth Tringham (tringham@berkeley.edu) regarding interest and participation in the session. Closing date: February 22, 2008. This is the first movie I did (that wasn’t a joint project), back in Spring of 2006, in conjunction with a project about the glass debitage of Ishi that is held in the Hearst Museum. I’d really like to publish the paper someday, but it needs substantial work. It’s sorta long (13 mins), so I certainly don’t expect anyone to check out the full thing, but any feedback is welcome. I probably won’t edit this one anymore because the drive that had all of my scratch files died, alas. Maybe someday I won’t be terrified when I put my video work up on the internet, but it won’t be any time soon. While I was diligently eating saltines and drinking water this morning I happened to catch a newish PBS documentary called e2: the economics of being environmentally conscious. The subject at hand was wind power, and the show provided strong economic arguments for locally-produced power through small, family-owned wind farms that allowed people to stay on the land in this ever-urbanizing country. I was immediately taken with the gorgeous cinematography–slightly desaturated landscapes with beautiful positioning of the interviewees. This doc used the “talking heads” schema, but made the people part of the landscape instead of interviewing them inside offices and such. I still wince whenever I see the academic/expert inside their book-lined office, but I suppose it’s appropriate but highly unimaginative. There was a voice-over by Morgan Freeman and the whole presentation was impossibly slick, moving away from the shaky hand-cams and poorly lit shots that usually characterize the kind of documentaries you’d expect out of this kind of politically-motivated film-making. Two things came to mind–that I’d just about die to make my films look like this, and that the documentary looked more like an extended commercial than anything else. I looked up the company that made the film (http://www.kontentreal.com/) and, unsurprisingly, both of the producers mentioned have backgrounds in marketing. This made sense with the scheme of the show–selling green power to the public. I did appreciate that they eschewed the fake dichotomies that these kind of documentaries (and a lot of news reporting, for that matter) employ to try to appear fair or to create tension. (Is global warming real? We dug up one guy that says no, let’s interview him!) They obviously seem passionate about this subject and everything ends well for everyone involved, with Morgan Freeman’s godly voice providing the correct conclusions for us all. As a quick sidenote, I just finished Eric Janszen’s report in Harpers about the bubble economy and the rapidly accelerating cycles of boom and bust and he predicts that green energy is the next boom. Welcome news, and Kontentreal is helping to make it happen. I’d love to see their investment portfolios. I suppose I am just bitter though, as I do not have access to the HDR cameras with cinematic lenses, and Brad Pitt does not narrate my scrappy little archaeology films. Their artistry is obviously not 100% financial in origin, but it seems to help. It’s just frustrating when I notice that another of their films, Ausangate, made it into the Archaeology Channel Film & Video Festival. 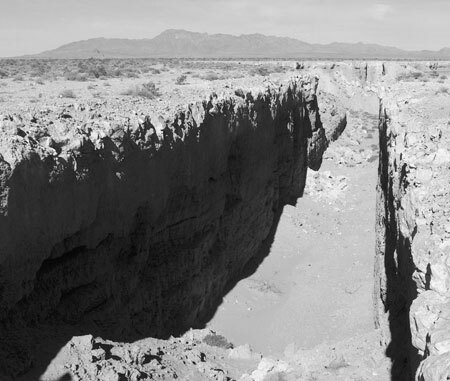 Is there any room for an archaeologist making her own films on no budget? Author colleenmorganPosted on January 19, 2008 January 19, 2008 Categories ArchaeologyTags e2, film-making, green power, kontreal, sour grapesLeave a comment on DIY and Die? Things are shaping up quite well as I head into the semester. I am working hard on my final field statements, have mostly finished (to my surprise!) my dissertation prospectus, and have been cooking up a Wenner Gren. On top of all of this, I finally got together the journal article that I want to submit to Archaeological Method & Theory, but I’m not sure it shouldn’t actually be two slightly different articles. Sorry to be opaque–I’ll post it all when it comes closer to actually happening. I met with Ruth and the other GSIs on Tuesday to discuss the upcoming semester. It should be pretty interesting–heavy on the media literacy, light on mid-terms, which is nice, but can be difficult for the more rigid students who want to be lectured at, take notes, and regurgitate periodically. I’ve been dealing with some Catalhoyuk material again though, which always makes me dream about the place. Browns and yellows and stressful politics, oh my! 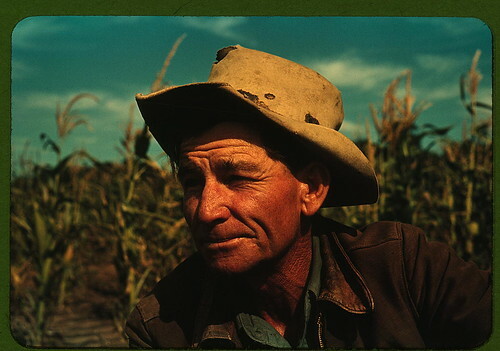 More interesting than my academic dealings–the Library of Congress has partnered with Flickr to get public tagging for their archived photographs. I love it–academic/public institutions have long been building web-islands of information, and getting some of this primary data out into a more public sphere gives life to the database, ensures that it will be used and therefore valued. 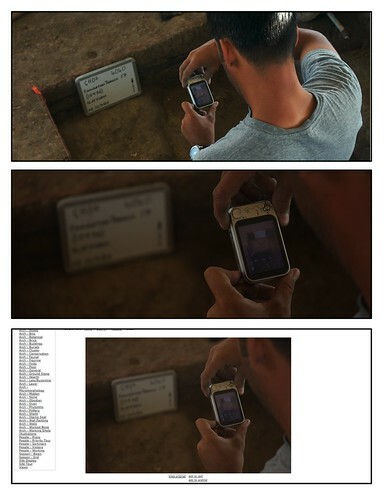 There’s already been a massive effort to tag these photos and I wonder if folksonomies would solve some of the problems that archaeologists have been having with assigning conceptual terminology we need for generating comparative data. 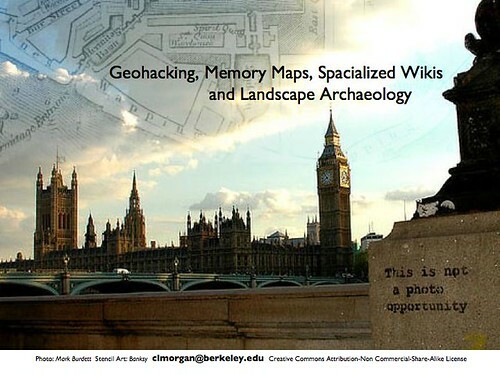 Archaeologists should create their own archives, but should also update to social networking sites like Flickr not only in the public interest, but to get more perspectives on their data. I wonder, as time goes on and I travel even more, if my love for the American West and its people and history will only deepen.